2. Then click on the downloaded file and run it. 3. Now connect your android device with the help of USB to your computer or Laptop. In order to use this software, you need to switch your device in USB mass storage mode. 4. After your turn on USB storage, you need to turn on ‘USB debugging’ mode . Go to Settings —–>Applications——->Development—–>Tick on USB debugging. 5. Then Click on ‘next’ in Final seeker software. After doing so, software detects your android device. Note: It may take a couple of minutes or seconds . 6. After it detects your android device, Click on ‘Start’ to see which files are deleted and to be recovered. 7. Now it will show your deleted files and preview them as-well-as recover the files which are needed. 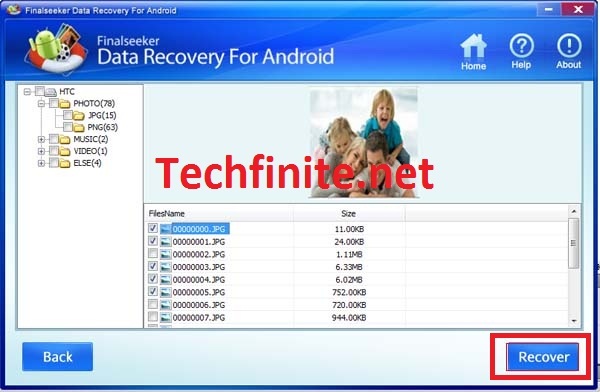 Just Check on the files you want to recover and click on ‘Recover’. 8. And You are done !!! 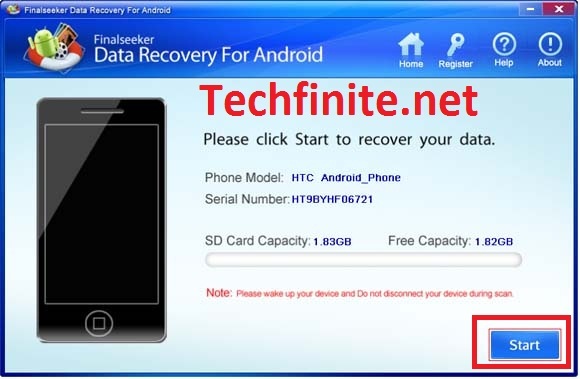 You can see how simple was the procedure to recover deleted files in android. I have provided you the download link above and more over this software is of trial version . If i have missed something then let me know in comments !